I’m a sucker for a really good deal. My credit card statement proves it… Some of my friends (well, all my friends) may say I’m addicted to shopping. And, yes, they are right! But would you really want to take fashion advice from someone who doesn’t love to shop?? I get an influx of emails every day from various stores and online boutiques, luring me to “click here” for amazing sales. I always say I’m going to unsubscribe from these emails to resist temptation, but I’m not a quitter (ha!). And now I get to share the best deals with you! 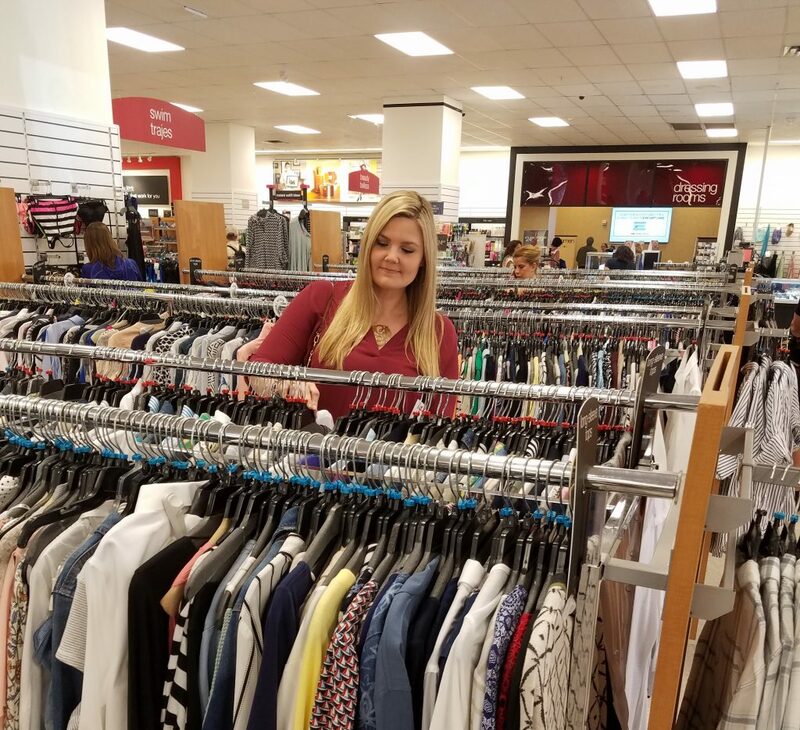 Browsing the racks at TJ Maxx. As I stated in the About section of this blog, I love high-end items, but I also love saving money. I mix my Louis Vuitton Speedy 30 handbag (that I purchased off eBay for half the price- score!) with a $15 top from TJ Maxx. 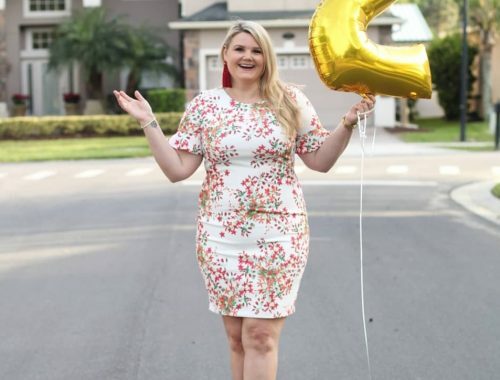 I always go to Ross first when searching for budget-friendly dresses, and love the discounted designer clothes and shoe department at Nordstrom Rack. 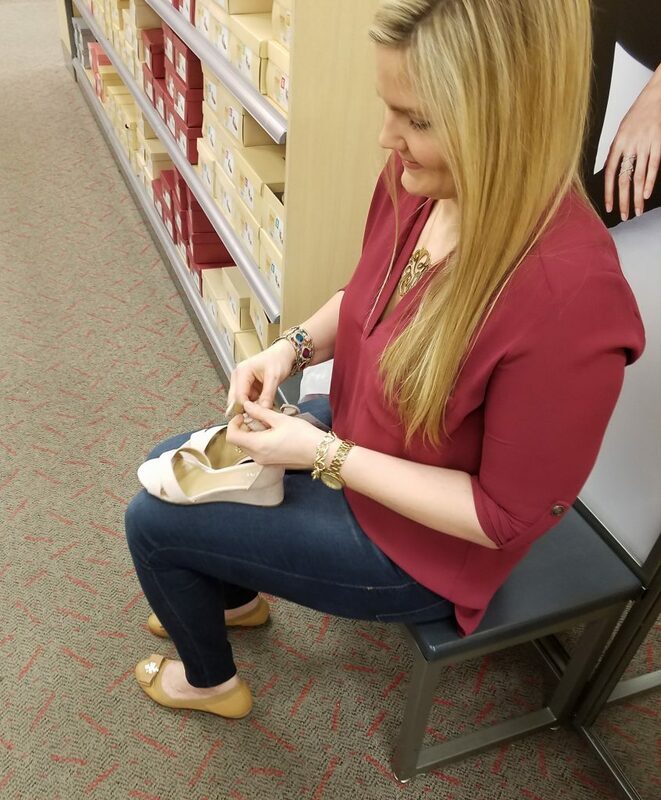 And if you haven’t checked out the shoes at Target lately, drop what you are doing and go look! Wait… actually, finish reading this post, and then go look at the shoes at Target. 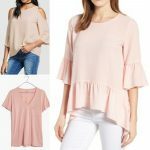 They are killing it with great-looking dupes of all the higher-priced trendy styles out there. My favorite store for online shopping is Nordstrom. 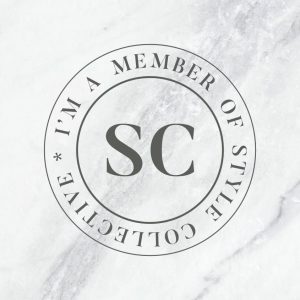 They always have a great sale selection and have free shipping and returns, so if you don’t like something or the fit is off, all you have to do is fill out a short return form and send back the item in the box it came in. They make it so easy and have great customer service. You’ll see that I link to the Nordstrom site quite a bit on my Shop my Instagram page since they make it so easy to shop with them. I’ve put together some comparisons of higher-priced and lower-priced basics below. You’ll see that you can find amazing, quality wardrobe essentials at any price point; you just may need to do some research first! Finding the best deals can take some time, but can save you hundreds of dollars in the long run. Left- Articles of Society Mya skinny jeans. Right- AG Super Skinny Stretch Jeans. 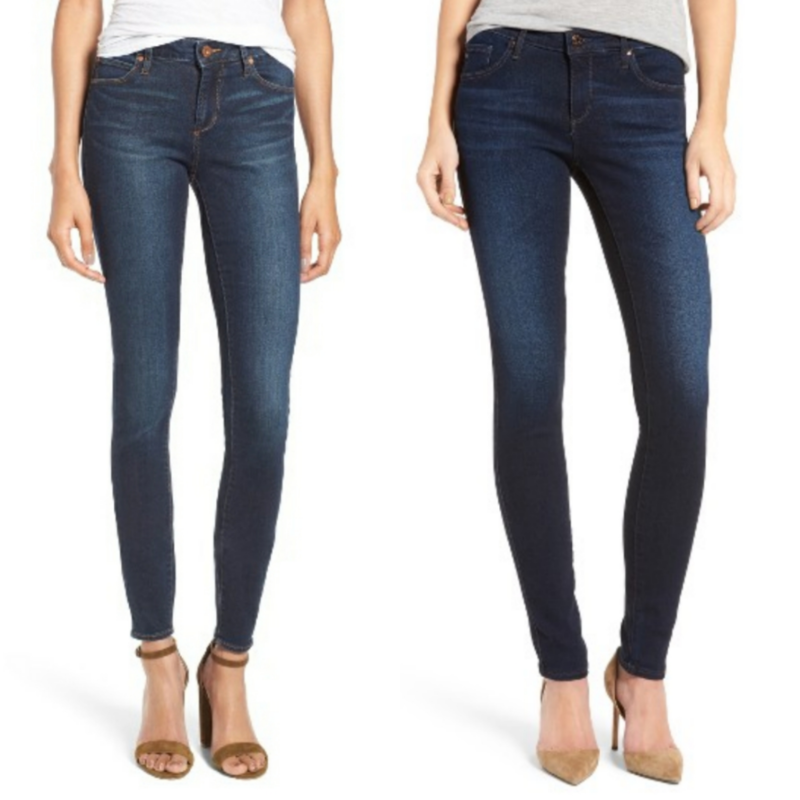 These Articles of Society Mya Skinny Jeans (on the left) are just $59 regularly, and this wash, Waverly, is on sale now for only $35 on the Nordstrom website! Find them here. These AG Super Skinny Stretch Jeans (on the right) are $176, and you can find them here. 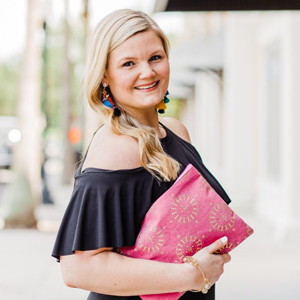 Both of these styles have a 31″ inseam, which is great for longer-legged ladies like myself, but they also can be hemmed or cuffed easily and still look great. Both are super soft jeans and are comfortable- so important! 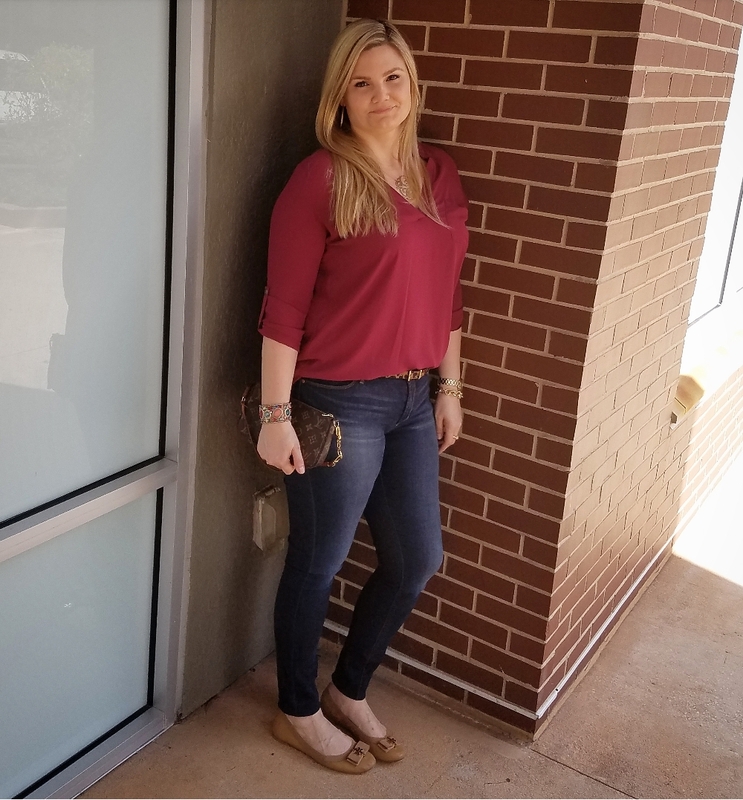 I’m wearing the AoS jeans in the pictures above (my favorite skinnies right now!). Top left- Mossimo Gertie Gladiator Sandals. 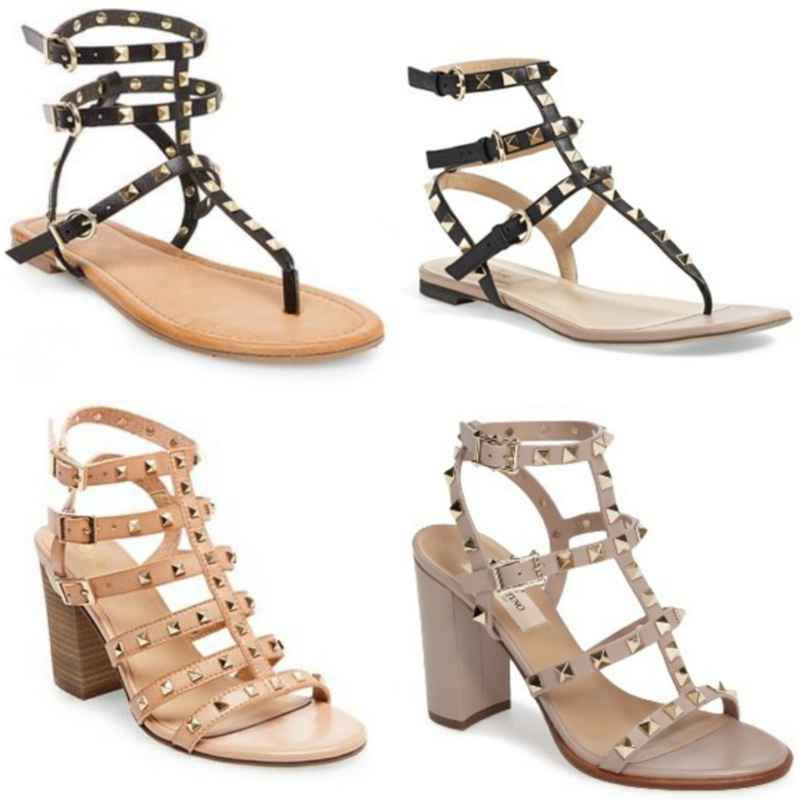 Bottom left- Mossimo Becky Studded Strap Heel Gladiator Sandals. Top right- Valentino Rockstud Sandal. Bottom right- Valentino Rockstud T-Strap Sandal. I dream of the day I can stock my closet with Valentino’s; but for now, the dupes will have to do! But look at these dupes- they are fab! I found them at Target- find the sandals on the top left here for $28, and the block heels on the bottom left here for $33. The Valentino’s on the top right are $975 (find them here). The block heels on the bottom right are selling for $1045 and can be found here. Valentino’s Rockstud shoes are very popular amongst celebrities, but let’s be honest, most of us can’t afford to buy shoes that cost as much as a month’s rent. My next shoe purchases will be both of the shoes on the left- so perfect for spring and summer, and are likely to remain in style for seasons to come. Left- Goodnight Macaroon Anja Suede Crossbody Bag. Right- Chloe Small Faye Leather Crossbody bag. Chloe handbags are big right now, and beautifully made, but can run you anywhere from $900 for a small bag to $2200 for their larger bags. Not quite in your budget this month (or year)? Goodnight Macaroon has very similar, gorgeous handbags that will save you from living off PB&J for the rest of the month. 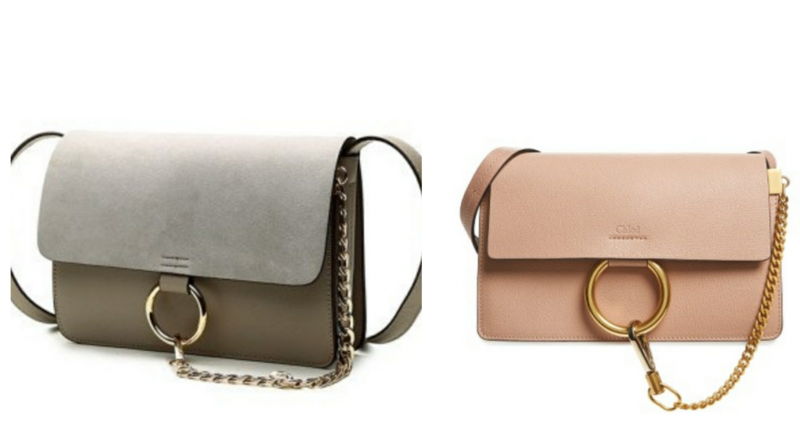 The Chloe Small Faye Crossbody bag above on the right is $1490 (find it here), and the Goodnight Macaroon Anja Suede Leather Crossbody bag is just $98 (but on sale now for $69.99!- find it here). 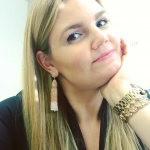 My favorite affordable jewerly line now is Baublebar. You’ll see me wearing their pieces often- they’re beautifully made, statement pieces that get so many compliments. They often have sales and promo codes, so be sure to sign up for their email list to stay in the loop for great deals. Right now they have a 25% off special and a free gift with a $40 purchase- check it out! 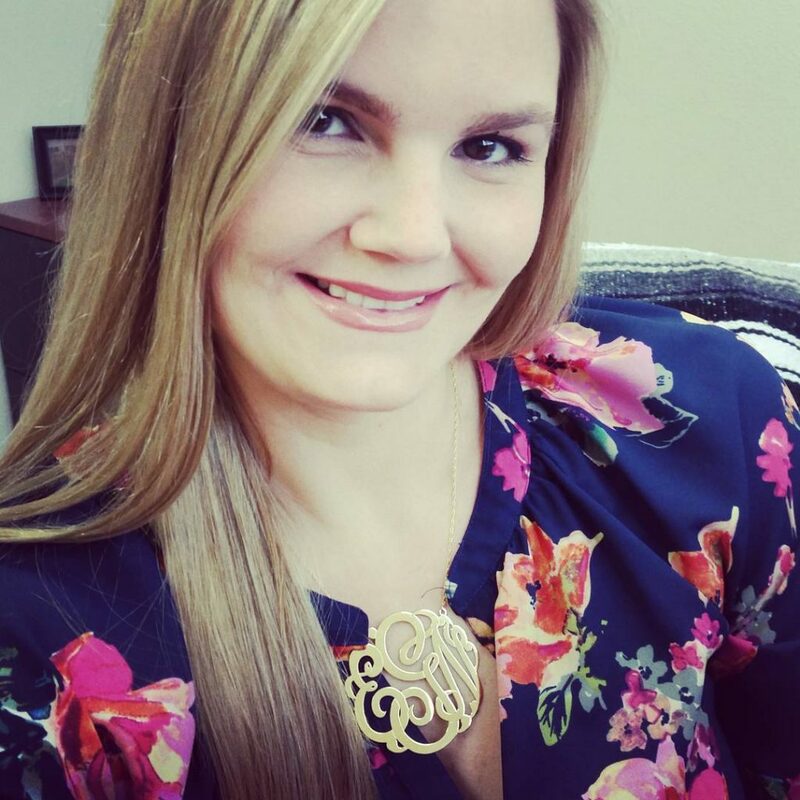 Extra large monogram necklace from Baublebar. Find it here. 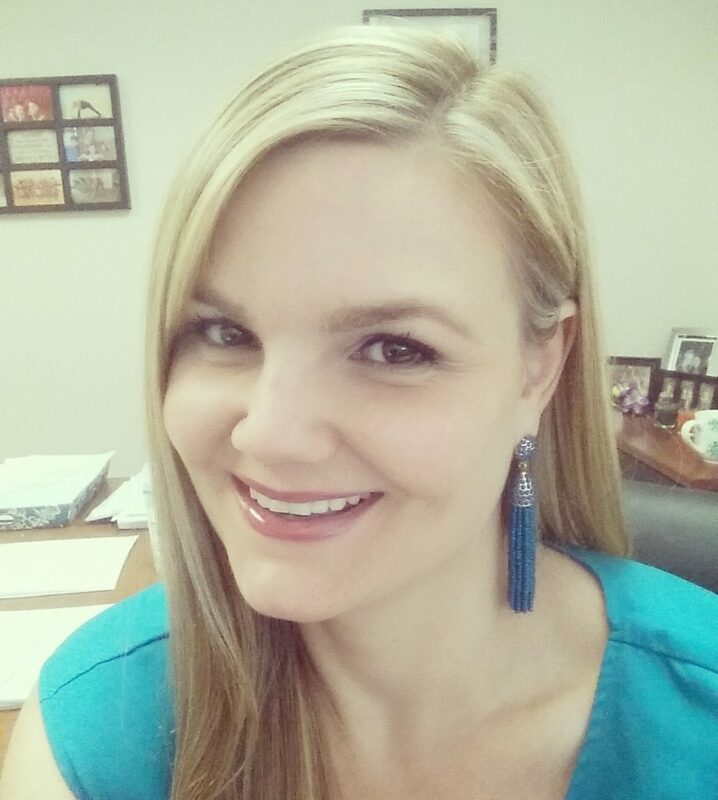 Pinata tassel earrings from Baublebar. Find them here. I could go on and on about finding great deals, but this is a blog, not a book! I hope some of the suggestions above will help in your search for items within your budget. 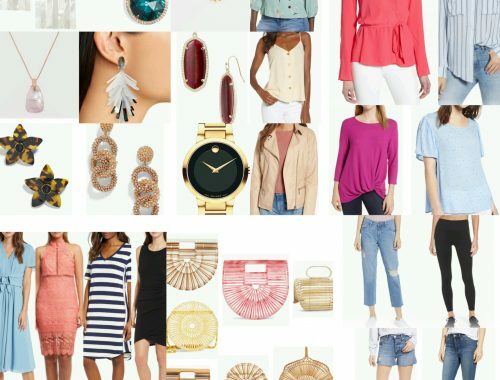 If you are an avid online impulse shopper like me, my last piece of advice before hitting that “submit order” button is to give yourself a couple hours, maybe overnight, to be sure you really love the item(s) and can find several ways to wear them before committing to the purchase. This has saved me so many times from buying something I may end up wearing only once and feeling like I wasted my money. Oh, and try to stay away from the wine while shopping online- that has caused way too many impulse purchases in this house! Until next time, happy shopping!